At this moment in time, everyone seems to be obsessed with crime, be it a story on the news, one of many TV shows ( Criminal Minds, Law and Order, Cold Case, etc.) or a good thriller. Another thing that is frequently enjoyed by many is a fun and fantastical dinner party at your boyfriends cousins best friend’s house, or your best friend’s house, either way they’re joyful, exciting and slightly awkward, but nevertheless a good dinner party is not to be missed. However with new film “Game Night”, there seems to be nothing more exciting (and terrifying) then exploring crime and mystery in your own living room. Although the extent of Game Night is way too extreme, there are ways to bring it into your home without threatening your life. The best way to do so, combining crime and dinner parties to host A Murder Mystery Dinner Party, verging on the border of fun and thrill. With the help of games and books, hosting a Murder Mystery Dinner Party has never been easier, or more fun! The first step to hosting A Murder Mystery Dinner Party is choosing a theme. Our favourite is a Roaring Twenties Murder Mystery Theme, there’s nothing more elegant then a Gatsby-esque dinner party with a twist. 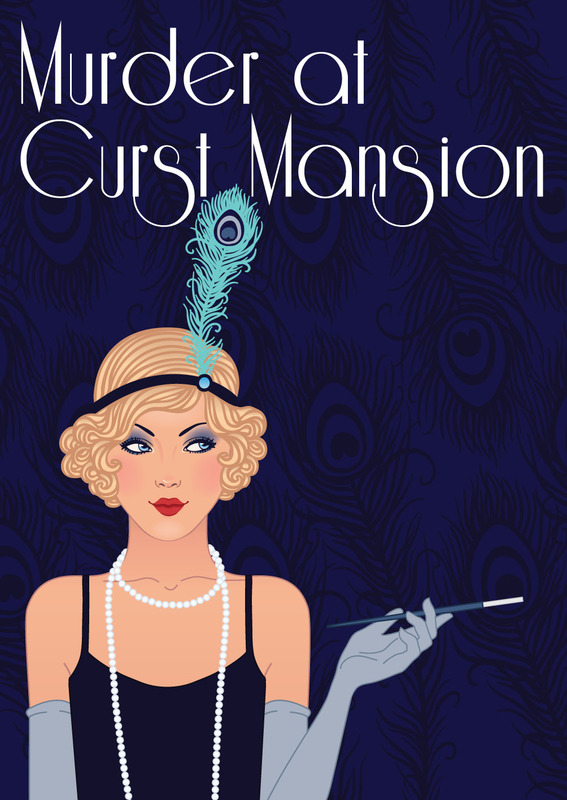 Red Herring Games provides the perfect kit for many murder mystery parties, but Murder at Curst Mansion is a wonder! The kit includes instructions, invitations, character booklets, name labels, ideas of your theme and recipe suggestions. The Inspector leads you through the mystery and ends up with the solution. Set in the twenties William Curst hosts a party in his mansion when Oscar Tame is found dead there, and guess who the suspects are? Yep, you guessed it, you and all your guests. With everyone keeping secrets and having something to hide, this mystery is a team effort to work out who the murderer is. The game is a minimum 6 player game and can be built up to a 12 player game, for a small and intimate party. Although this kit does come with some recipe suggestions, here are some of our favourite cookbooks that are perfect for your evening! 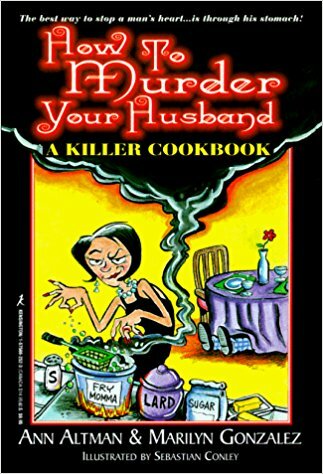 A humorous cookbook that contains recipes to die for! 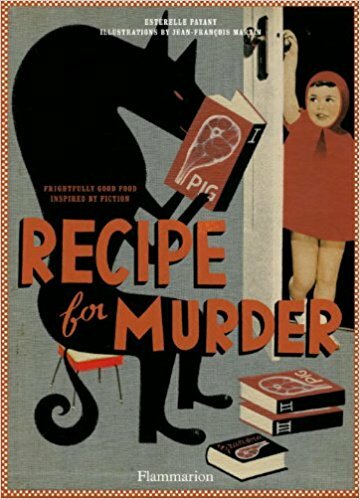 The recipes are perfect for A Murder Mystery Party, with Fettucine to Kill Alfredo and more, this recipe book has culinary delights and something for every guest. 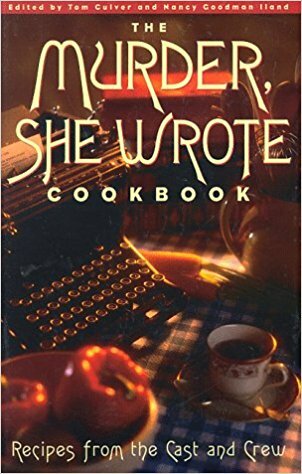 With over 350 recipes from the cast and crew of Murder She Wrote, who wouldn’t want to serve a recipe by Tippi Hendren or Angela Landsbury? Featuring recipes inspired by some of film and literatures greatest villains, with some stories and illustrations to inspire an evening of evil and enjoyable recipes! So now that you have a step-by-step guide on how to plan your Murder Mystery Dinner Party, and multiple culinary options for a decadent and deadly menu, what are you waiting for? Be the talk of the town with your unique, fun and fabulous dinner party, and don’t forget to kill it!